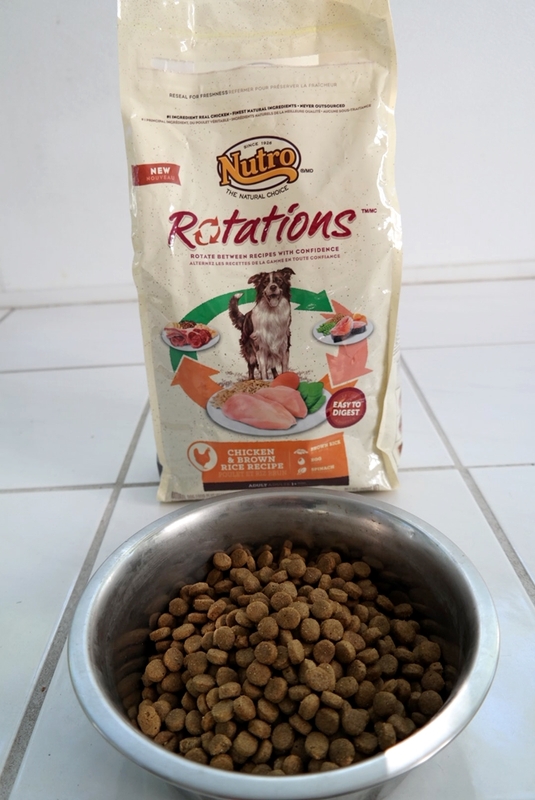 I’m serving my dog The Nutro™ Company as part of a sponsored series with Socialstars. The honest opinions are my own. Yoshi is now over two years old. I can hardly believe how the time has flown since we brought her home as an adorably tiny puppy. She has grown a lot since then! When we first got her we decided we would feed her a couple of times a day like we did with our previous dog. Avery was a cocker spaniel that wandered into the store I worked in one day. 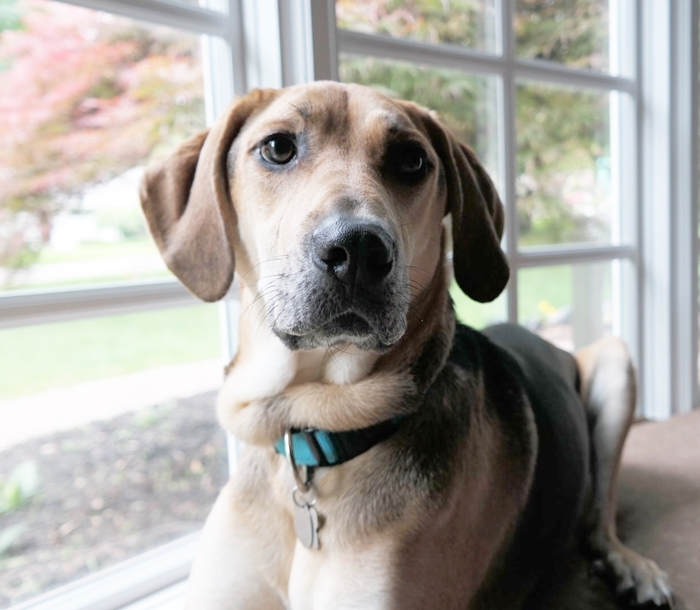 I searched for his owners for weeks and after not locating them, we adopted him. He was an amazing dog. Very well trained and over the years every vet we took him to said they couldn’t believe how friendly he was. They said that was an unusual trait for a cocker spaniel. The only fault he had was he was extremely food aggressive. If you put food in front of him he would eat it all immediately, almost in one gulp. If you got near him while he was eating, he would freeze – standing over his bowl and start growling. We asked the vet about it and we followed the advice we were given to try to get him to stop, but it really didn’t work. We didn’t have children at that time which was good and part of the reason we didn’t worry about it too much. We just figured we’d stay out of his way when eating. 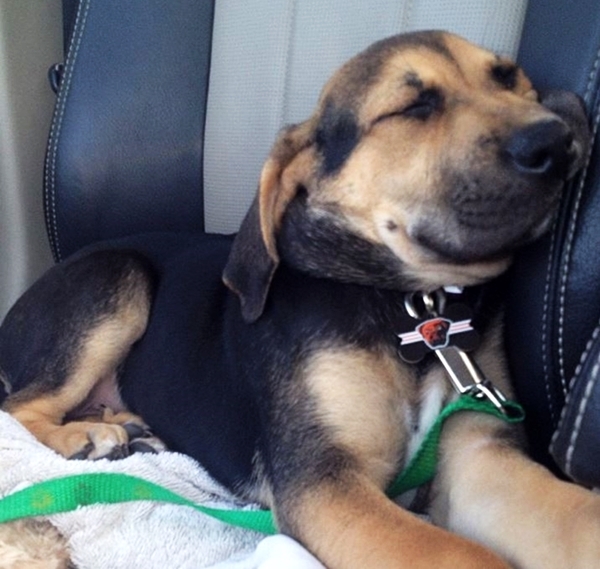 This lasted until we adopted a 6-year-old huge chocolate lab. 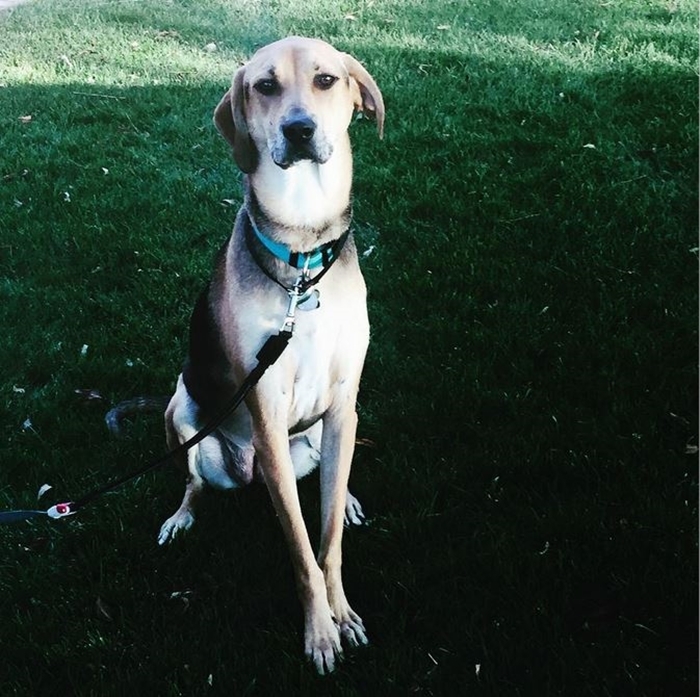 He was incredibly mellow and laid back and such a sweet dog. 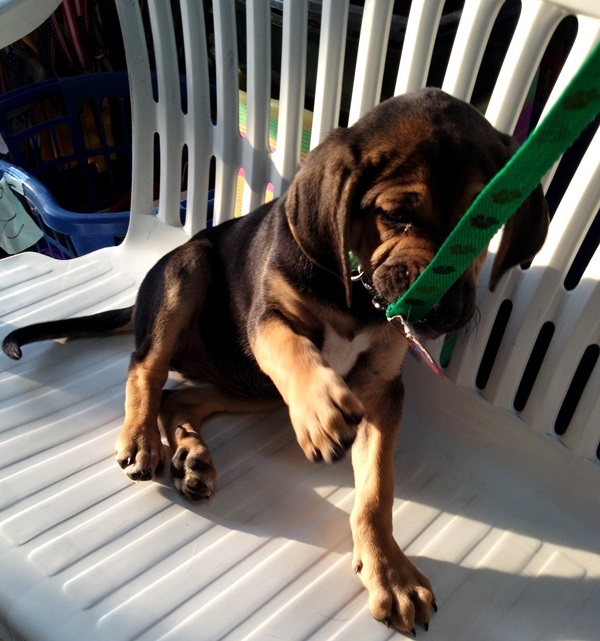 But his size made us realize that Avery’s antics were ridiculous and we worked harder to break him of this bad habit. He got to a point where he would allow us to take his bowl away while he was eating. He wasn’t happy about it but there was no more statue posture or growling. Things changed and we decided we didn’t want him to have any aggression issues at all. 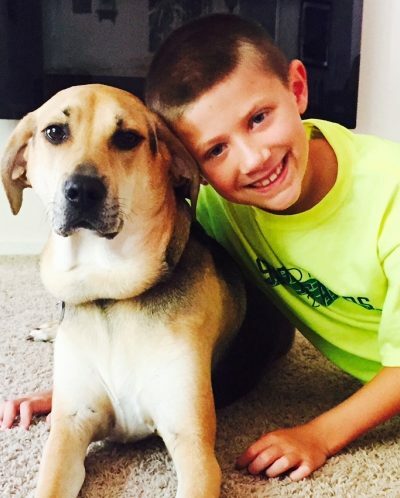 He was a wonderful dog and we wanted to make sure he didn’t have any habits that could become a problem later. Now this was all a very long story that started out about Yoshi but I wanted to tell it because Yoshi is completely the opposite of Avery when it comes to food. Even after Avery lost his food aggression, he could never have a bowl of food out and not eat it. We had to feed him twice a day. We’d pour a bowl for him in the morning, it would disappear in less than a minute. And we’d pour a bowl again in the evening, it too would be gone in seconds. We started out feeding Yoshi on this same schedule and oddly enough we started seeing that she was becoming obssessed with her food too. She’d eat it quickly, she begged, and when we took her over to my sister’s house she immediately ate all of her dog’s food. 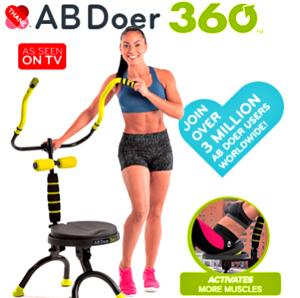 It was annoying and I couldn’t stand it. I decided we were going to start leaving her food out all day and hopefully it would cure her problems. It took a week or so of her constantly eating it all and me filling up her dish again. Eventually she learned the food would always be there and she relaxed. Now that she’s two, we just fill her bowl when it’s empty. She eats a bowlful about once a day or so. It’s really nice not having to feed her on a schedule and that she just eats when she’s hungry. While she typically eats the same food, I have mixed it up a bit in the past. After her first birthday we stopped feeding her puppy food. For awhile last summer she had some bad skin allergies. Her stomach broke out and she even had bumps on her lips. The vet diagnosed allergies and gave us some antihistamines. I also looked up food allergies and thought she might be allergic to grain. So we started buying her grain free dog food. She enjoyed it as much as her regular dog food and pretty soon her allergies cleared up. We switched her back to regular dog food and she’s been doing fine since. Whenever we did switch her food, we made sure to slowly introduce the new food so it wouldn’t upset her stomach. She didn’t have any problems and this was how was how we have always introduced new dog food. 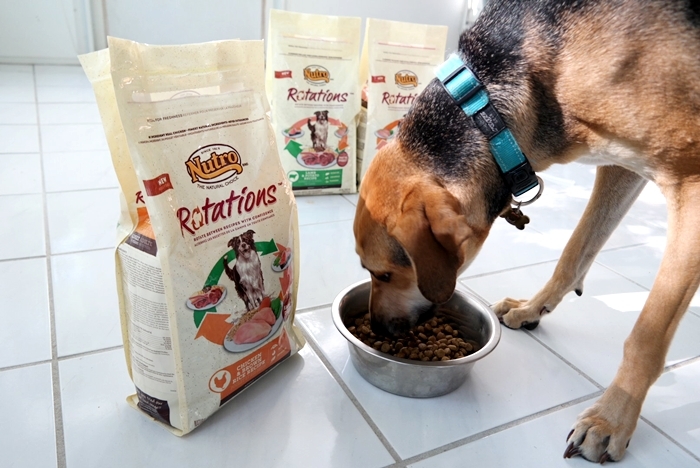 That’s why I was very interested in NUTRO™ ROTATIONS™, it’s dog food that allows you to add variety to your dog’s diet with digestive stability. 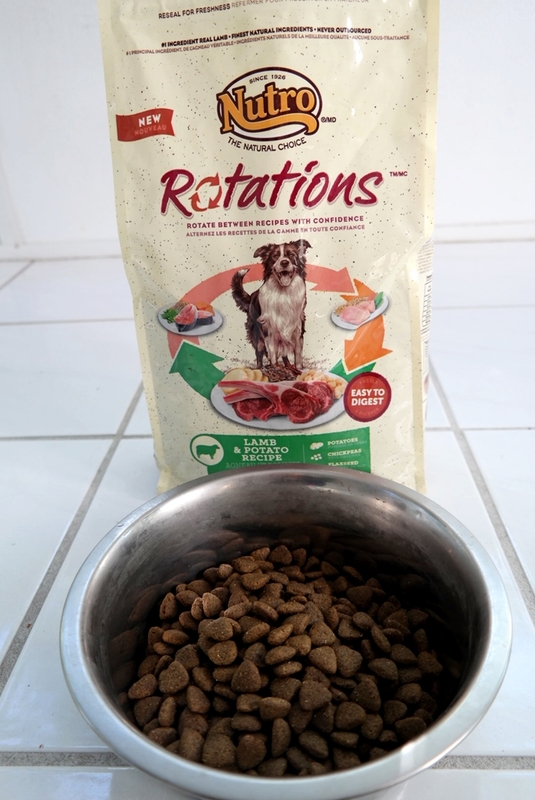 I was amazed to read that with this dog food you can switch from one recipe to another without slow introduction, just pour and serve. 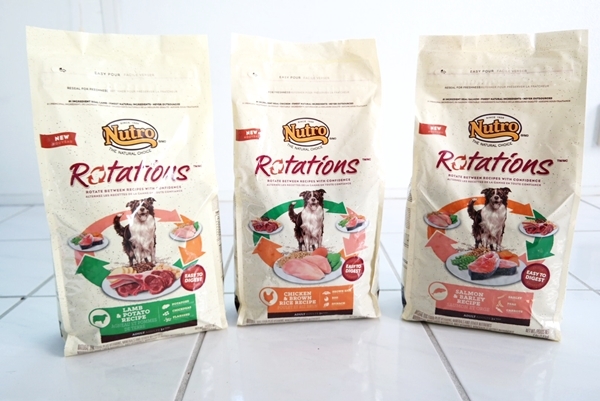 Feeding her NUTRO™ ROTATIONS™ has made me (and her!) very happy. I was pleased to see that real meat, poultry, and fish are always the first ingredient. 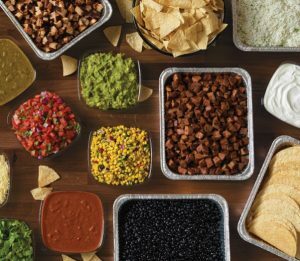 The food is made with whole grains and the finest fruits and vegetables and it’s never made with corn, wheat, chicken by-product meal or soy protein. I was really excited to see that it’s made with non-GMO ingredients. I liked that we can rotate through them to give Yoshi a variety of meals. 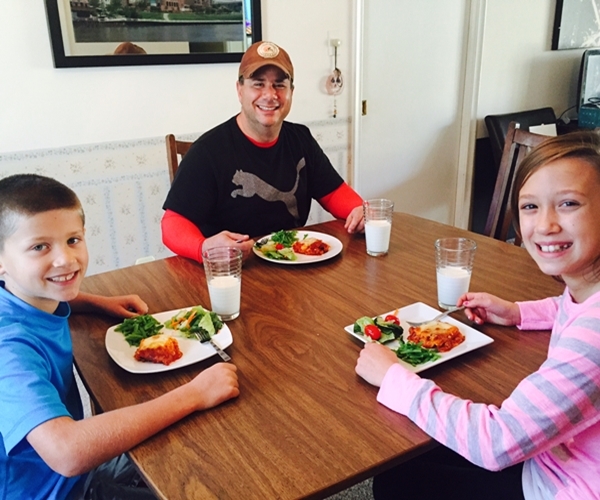 In fact just recently we had Chicken & Rice for dinner and the kids thought it would be fun if Yoshi had the NUTRO™ ROTATIONS™ Chicken & Brown Rice that night too! 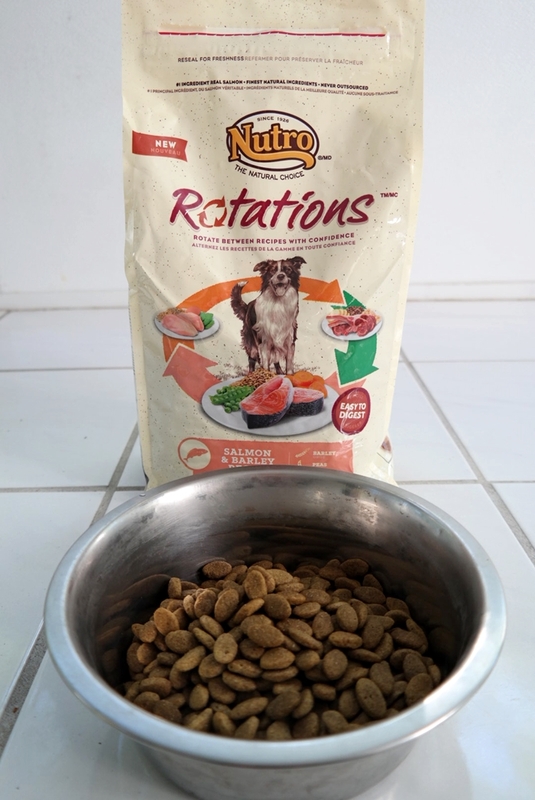 We’ve been very pleased with NUTRO™ ROTATIONS™ and recommend this dog food to anyone looking to give their dog variety in their meals along with digestive stability. 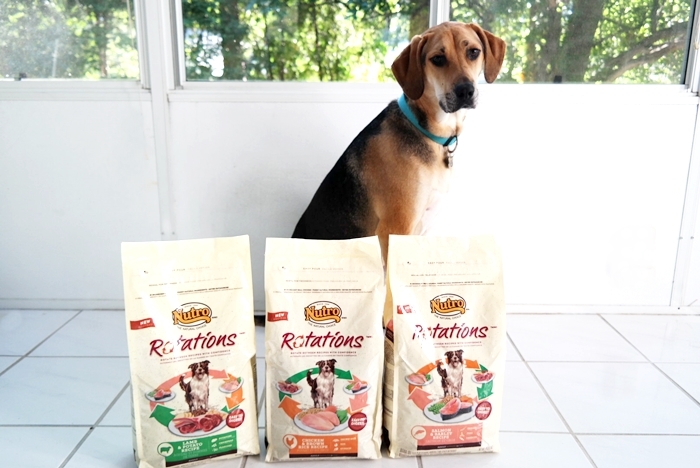 After all variety is the spice of life and with NUTRO™ ROTATIONS™ it now can be part of your dog’s life as well. 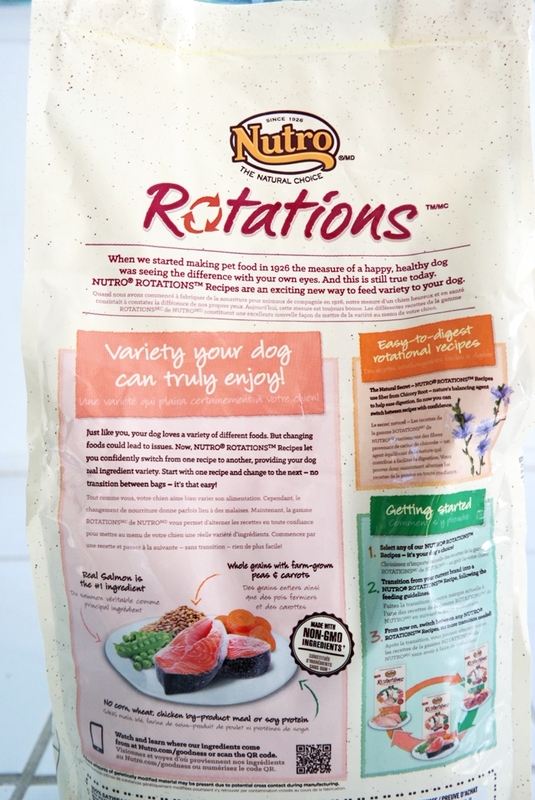 I would love to try using this Nutro Rotations for my dog. He would love this healthy food. I have never heard of it and I am glad that your dog is better about eating his food. Good idea leaving it out all day.